Want to know what we’re doing about MESH? 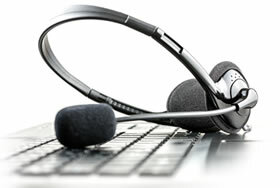 Digital Dictation - looking for easy sign off? Want to be Paper Free at the Point of Care by 2020? Formed in 1992, Medisec Software is a specialist systems developer providing tried and tested clinical correspondence solutions for the health service. Capture of clinical patient information on the ward during a patient's stay and creation of discharge notifications. Allows export to 3rd party systems for outsourced printing, case note systems etc. As MedisecTRUST Digital Dictation creates a paperless clinical correspondence process from speech mic to GP surgery, you can also save on postage and admin costs, and do your bit for the environment. Medisec software is installed at various NHS Hospital Trusts, CCGs and GP Practices across the Midlands and the North of England.